Alabama Land Surveyors is a veteran owned and operated surveying firm that can provide a wide range of government surveying needs. 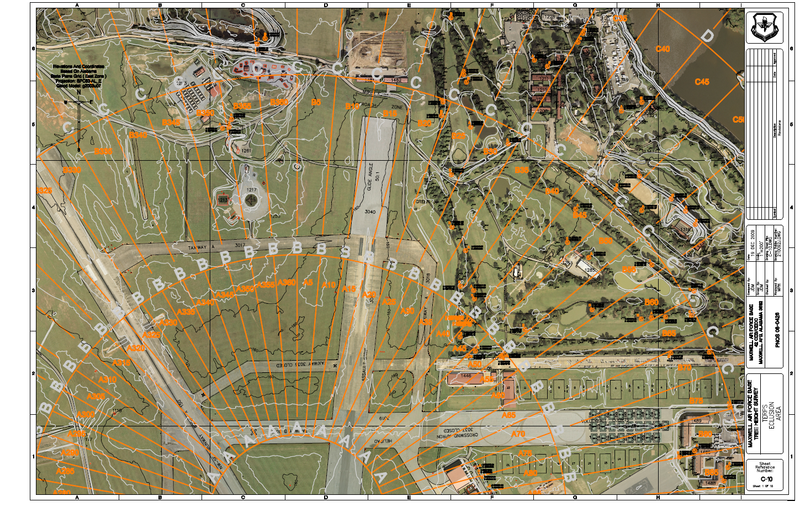 Here is an example of a tree height survey we performed for Maxwell Air Force Base. Consisted or identifying over 11,000 trees in a five mile radius around the flight line for the Blue Angle Air shows. We captured the tree top heights with lidar and then comprised the type tree and growth rate for each species of tree. The attached drawing is 1 of 18 to give some scale to the project.